WHY I CARE WHAT HAPPENS AT FBC OF HAMMOND, IN. It has been almost twelve years since Dr. Jack Hyles went to Heaven and for many of us it has been a very difficult time. We watched as the work he built and the truths he stood upon were mangled and twisted. There were times when I just sat and cried out to the LORD asking why He took him from us so soon. In all of this time many of us have moved on and acknowledged that things will never be the same in Hammond. Now a new era is about to begin and I find myself hoping that good will come of it and that the positions of FBC will return to what they were under Dr. Hyles. I find myself asking myself why do I even care and the same answers return. Be optimistic by believing and hoping Pastor Wilkerson is the man I think he is, which is a fine independent fundamental Baptist pastor. I will give him every opportunity to prove me right. Reach out to him as a friend. I know how busy he must be, but I plan to make it very clear to him that I am his friend and am here for him in any way he may deem as a need. Encourage others not to jump to conclusions. Many men left Hammond because of the decisions and directions FBC leadership took. I want to encourage those folks to consider it a new day in Hammond. Keep Dr. Hyles teachings alive around the country. The legacy of a man is not a place. It is was Dr. Lee Roberson has no legacy left because what he built is pretty much gone. That is why I continue and will continue to write books about the life of my mentor and friend Jack Frasure Hyles. Love Mrs. Hyles. Many in Hammond still lover her and worry about her. I hope Hammond will continue to do all they can to honor her and provide for her for the rest of her life. She DESERVES it! Move beyond the past. I did not say forget it, but the past is gone and we must allow the new pastor to be himself and not be compared to Dr. Hyles in his style. If he takes the right positions then I will be happy. Nor should we make him live in the disgraces and heresy of the previous pastor. John Wilkerson is his own man. Stay faithful. Too many men fall by the wayside. One thing I can do is to keep on keeping on like I was trained to do at Hyles-Anderson College. I commit by God’s help to do just that. 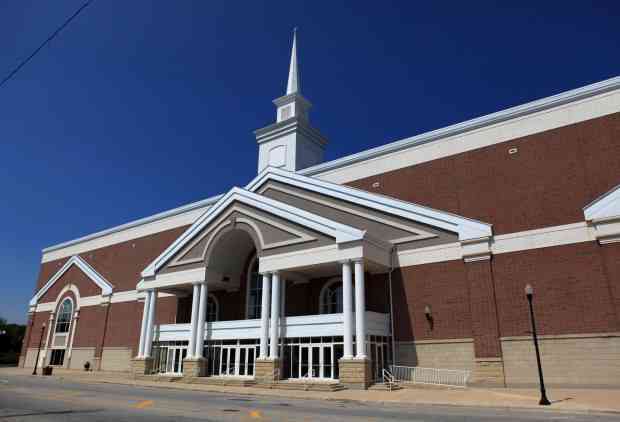 It will take time for Pastor Wilkerson to adjust to FBC and should be given space and time to THEN lead HAC back to the Biblical positions of their founders Dr. Jack Hyles and Dr. Russell Anderson. There are faculty members who still require answers on their quizzes and tests to the affect that the KING JAMES BIBLE is NOT inspired. I suspect the heretical teachings of the past decade are prevalent in some faculty members and they must recant or be let go. THIS WILL TAKE TIME. HAC is suspect until Pastor Wilkerson has the reins of the college. I am CONFIDENT at this point that Pastor Wilkerson will tackle the challenge of HAC’s faculty. The false teachings must be identified and rectified. This will take time and the focus MUST be on the church first. Remain a friend to those dear staff and faculty members who did not swallow the false teachings. Love and help those who did swallow the false teaching of the previous pastor. Pull for and encourage HAC to correct the heretical teachings.